The Texas Rangers are not only young, with all those 20-something position players, they go into spring training with a first-time manager and without the retired Adrian Beltre at third base. Chris Woodward has never been a manager. But the 42-year-old former utility infielder spent the last three seasons as third base coach for the Los Angeles Dodgers, who have something in common with the Rangers. Los Angeles lost in the World Series the past two years. The last team to do that was Texas, which hasn't won another playoff series since its back-to-back AL pennants in 2010 and 2011. The Rangers are now coming off consecutive losing seasons for the first time since 2008. "I'm not really putting any limitations or expectations on this team," Woodward said. "My goal is to not have a team that's going to sneak up on people. Maybe this year we will because the expectations around the league are not high on our end. ...These players want to win, and I'm not going to sit here and tell them that they can't." The Rangers had seven position players 25 or younger play at least 106 games last season. Six are back, including slugger Joey Gallo as a full-time outfielder after consecutive 40-homer seasons. Nomar Mazara, still only 23, has his exactly 20 homers in each of his three seasons . The right fielder missed a month on the disabled list late last season with a sprained right thumb. He avoided surgery, and said the thumb is better with the extended offseason rest. "My main thing is stay healthy. I think I can do a lot of damage out there," Mazara said. "We're working in the right direction, everybody. We have a good chemistry. We're just hungry to get out there and do the best that we can. Last year wasn't fun at all." Along with a new manager, the Rangers will have a new third baseman after Beltre, who had 3,166 career hits, retired in November . They also have a revamped starting rotation with lone returner Mike Minor and four pitchers who have had Tommy John surgery. Switch-hitting Asdrubal Cabrera, a two-time All-Star shortstop for Cleveland early in his 12-season career, has been at third base for only 52 of his 1,426 big league starts. Those starts at third came the last two years for Philadelphia and the New York Mets. "As he has gotten older, as a lot of players do, his range is probably not quite where it was when you're talking about shortstop every day ... but thinking he'll be a solid third baseman," general manager Jon Daniels said. Yohander Mendez, a 24-year-old lefty, could be a starting option if all of the surgically repaired pitchers don't make it through the season. Mendez pitched 43 innings in 17 appearances the past three seasons, with his five career starts all last year. With Minor and free agent addition Lance Lynn, the Rangers have their top two rotation spots filled. Minor led the Rangers in starts (28), wins (12), innings pitched (157) and strikeouts (132) last season, when he was closely monitored in his return to the rotation. The former Atlanta starter missed two full years because of a torn labrum and was a full-time reliever for Kansas City in 2017. Since missing 2016 after Tommy John surgery, Lynn has gone 21-18 with a 4.04 ERA in 64 games for St. Louis, Minnesota and the New York Yankees. While the Rangers have pitchers expected to fill out the rest of rotation, all are coming off Tommy John surgery. Drew Smyly hasn't pitched since 2016. Edinson Volquez (traded by Texas to Cincinnati for Josh Hamilton after the 2007 season) returned to the Rangers last year to go through his rehab. Shelby Miller, who had surgery in May 2017, went on the disabled list in mid-July with right elbow inflammation after only four starts for Arizona. 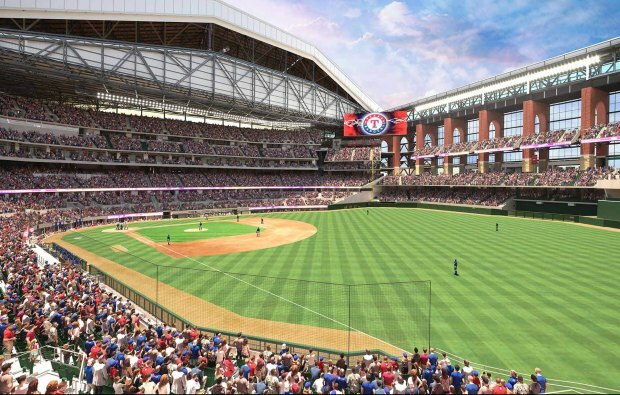 The Rangers open their final season in their current stadium against the Chicago Cubs on March 28. Texas could face two of its former starters in that three-game interleague series. Lefty Cole Hamels was traded from Texas to Chicago last July, and Yu Darvish was traded to the Dodgers in 2017 and pitched in the World Series before going to the Cubs in free agency last season.